There is so much excellent painting on display in Toronto right now. This weekend I am travelling by car; chauffeured around and oblivious to any dramas on the TTC (a vague memory, until tomorrow). 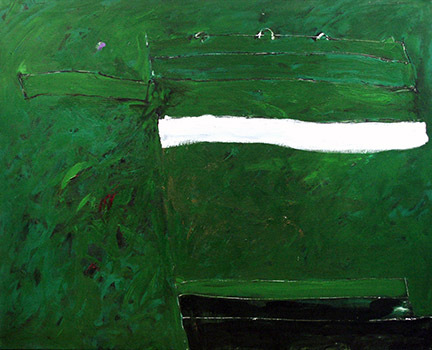 Barbara Edwards Contemporary, on Bathurst just below Dupont, is showing the work of Ray Mead (1921-1998). 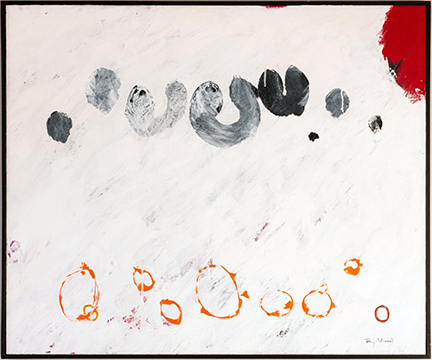 This artist, one of the Painters Eleven, achieves a bell ringing clarity through his use of color in combination with spare, gestural forms. 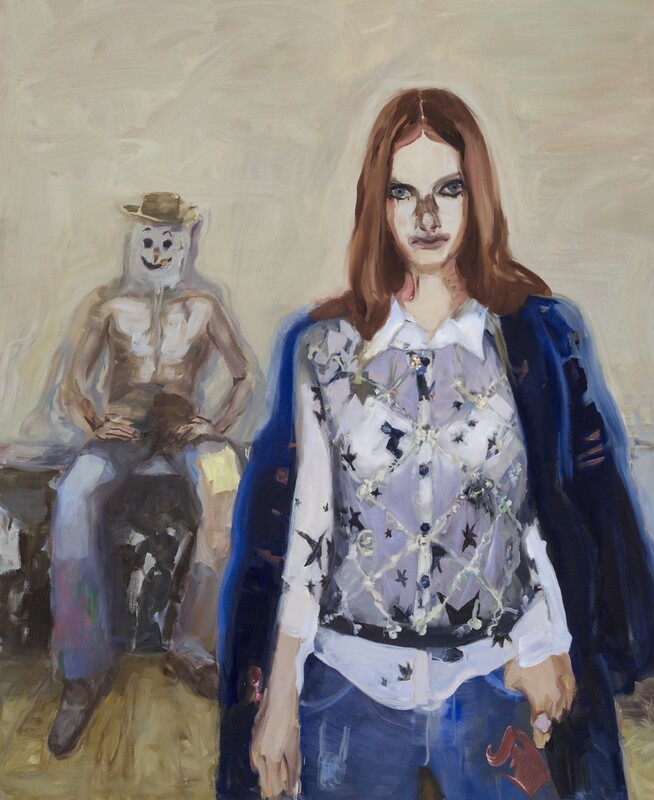 The paintings are bold, worldly and sophisticated while hinting at the psychological obsessions of the time: deep brooding complexes and anxieties burbling in a Cold War stew of dread. On Saturday afternoon the painting show and various gorgeous, brilliantly colored artworks leaning against a wall looked urbane and voluptuous. 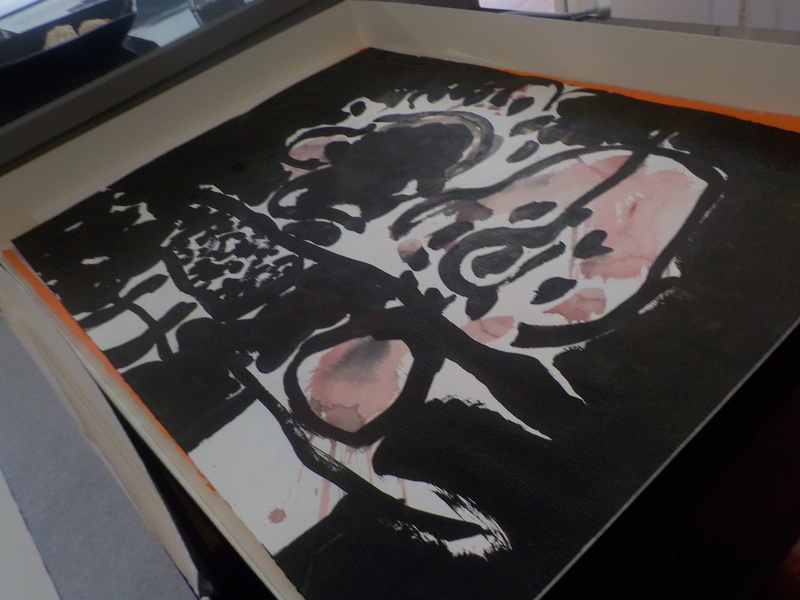 Barbara Edwards and her colleague were considering a trove of Ray Mead works and very obligingly, they opened a fat portfolio of unframed pieces for my companion and me; and one by one, tenderly plucked the vulnerable artworks from between acid free sheets to show them to us. It was a bit like reading a coded diary and trying to interpret the entries: lovely to look at, tantalizingly heavy with meaning and forever opaque. 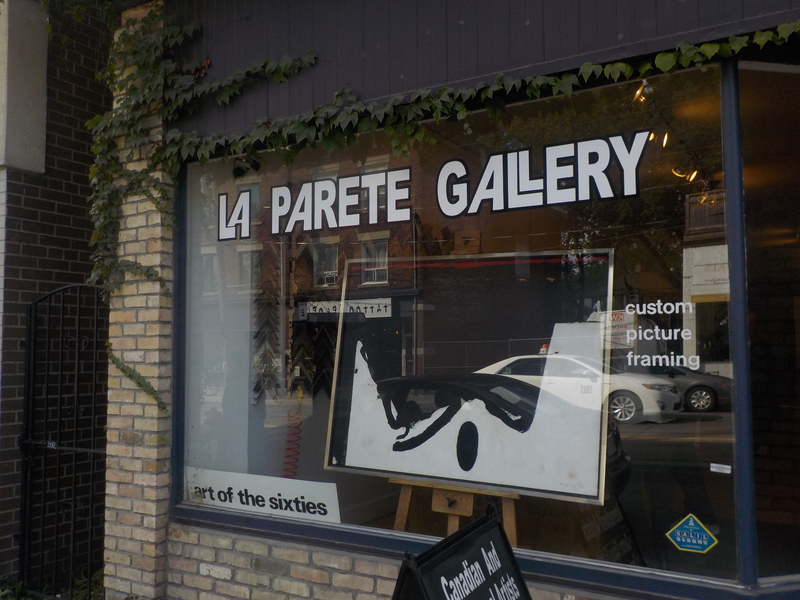 It was surprising, on exiting the gallery, to notice a big, bold Ray Mead filling the window of the frame shop and La Parette Gallery (“art of the sixties’) across the street. Ray Mead left his mark on Toronto. 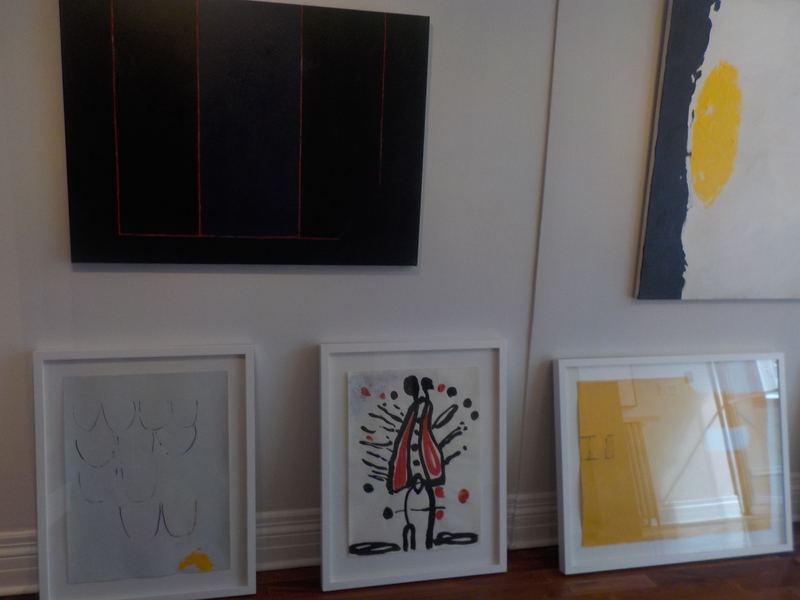 We zipped down Bathurst to Techumseh and Birch Contemporary. Joyce Carol Oates frequently writes stories about young women who have a distorted view of the world. They foolishly take up with sinister outcasts of one kind or another and soon things start going badly and people get hurt. 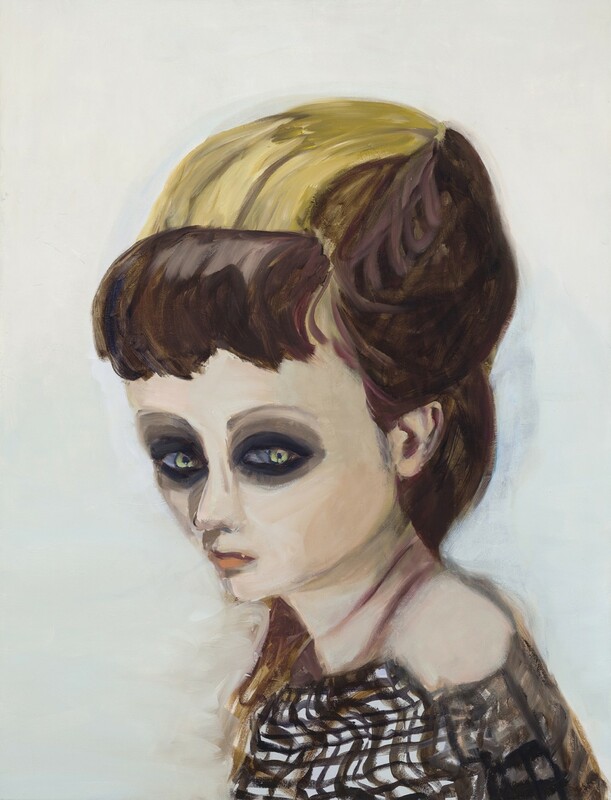 Janet Werner‘s show at Birch Contemporary, and particularly one of the paintings called Abby and Snow (which is also the title of the exhibition) made me think of the kind of struggle between the predatory and the vulnerable that Oates describes. 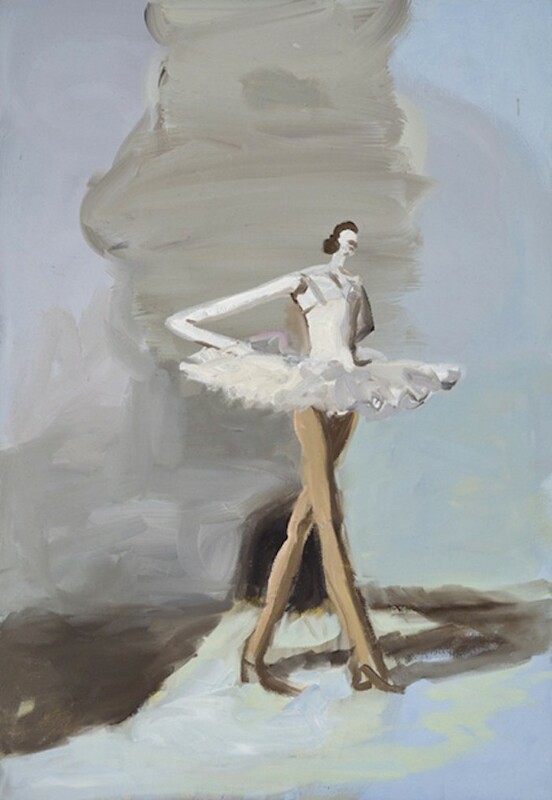 In many of these works, loosely painted figures on amorphous backgrounds, Janet Werner seems to be speaking to an individual’s misreading, rejection or distortion of society’s norms or expectations. She explores the blurred boundaries between cute and grotesque, assertive and repellent, demure and …um…dead, to spectacular effect. I was particularly fascinated by Janet Werner’s take on enduring female archetypes: ingenue, pretty ballerina, horsey type, bimbo. Her representations of these typically hackneyed cliches are riveting. The current chatter around feminism and Beyonce, for example, becomes pale and superficial in contrast to these disturbing images encompassing profound female yearning, disappointment and pain. 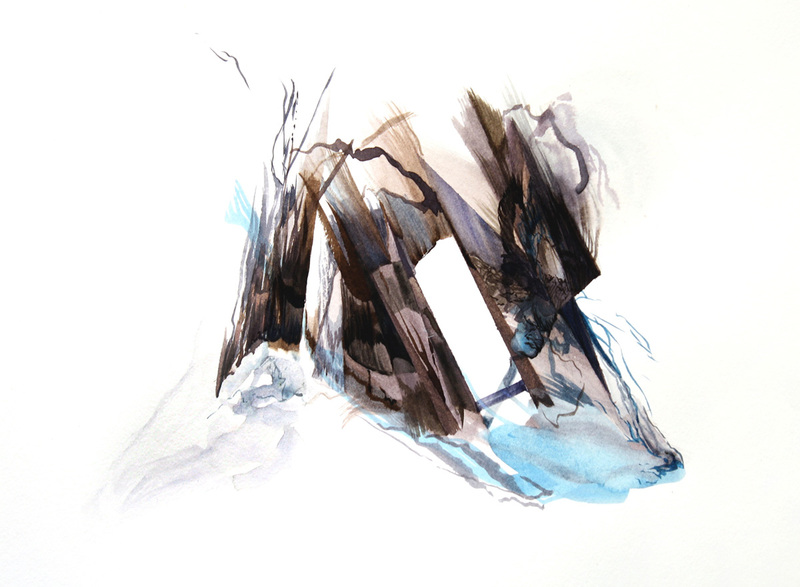 Next door to Birch is Georgia Scherman Projects and an exhibition of paintings by Melanie Authier. There is something about these paintings that makes them entirely of the moment. 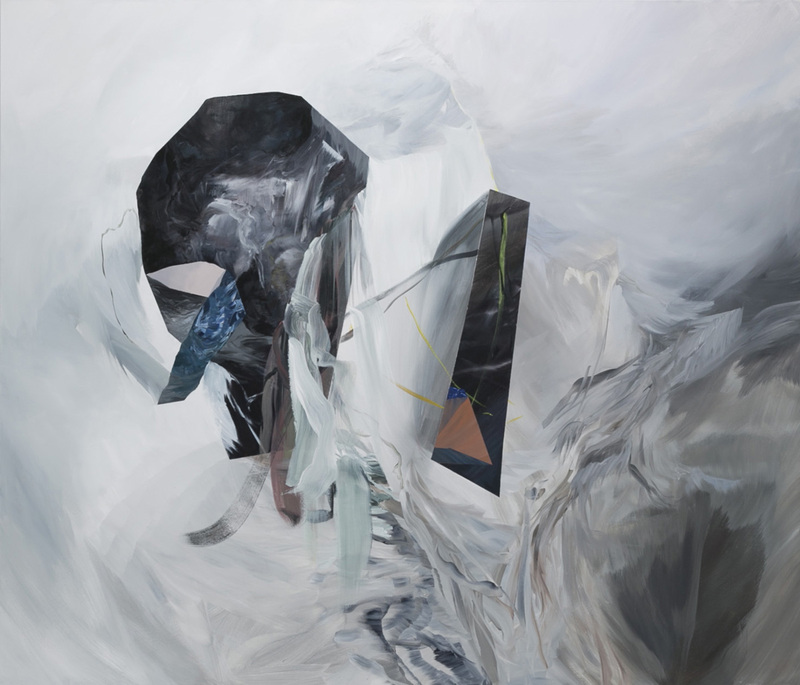 Maybe its because we expect more from abstract painting now than ever before. If Ray Mead was venturing into unknown territory in the fifties at this point it is well travelled terrain. 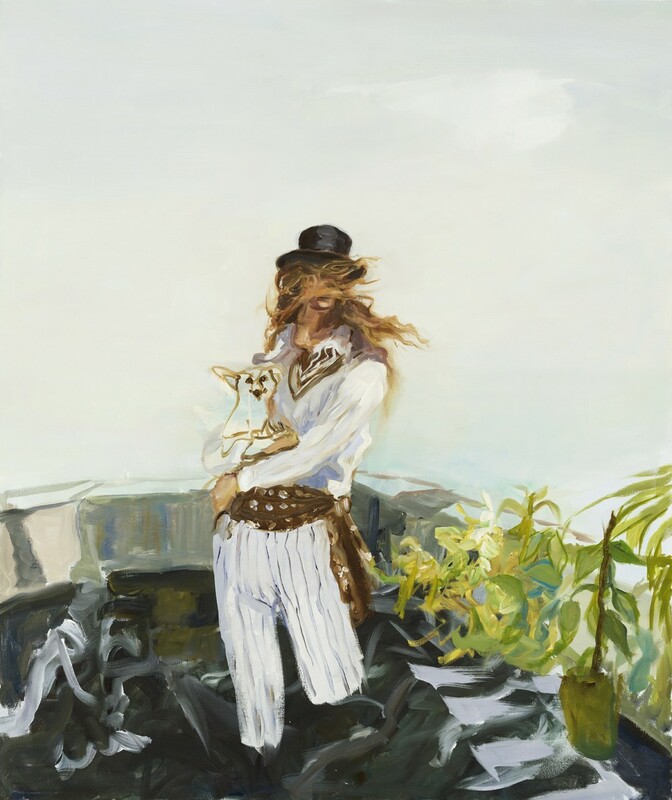 Melanie Authier uses the daring elements employed by a painter such as Ray Mead and combines them with references to all kinds of artistic romanticism from the past. I was reminded of Turner’s deep, mystical space; my friend observed the nod to Casper David Freiderich’s majestic cliffs. The work also has a connection to the current look of video game animation, the so-called “fantasy art” created by modelers to give gamers a daunting landscape in which to search and destroy. 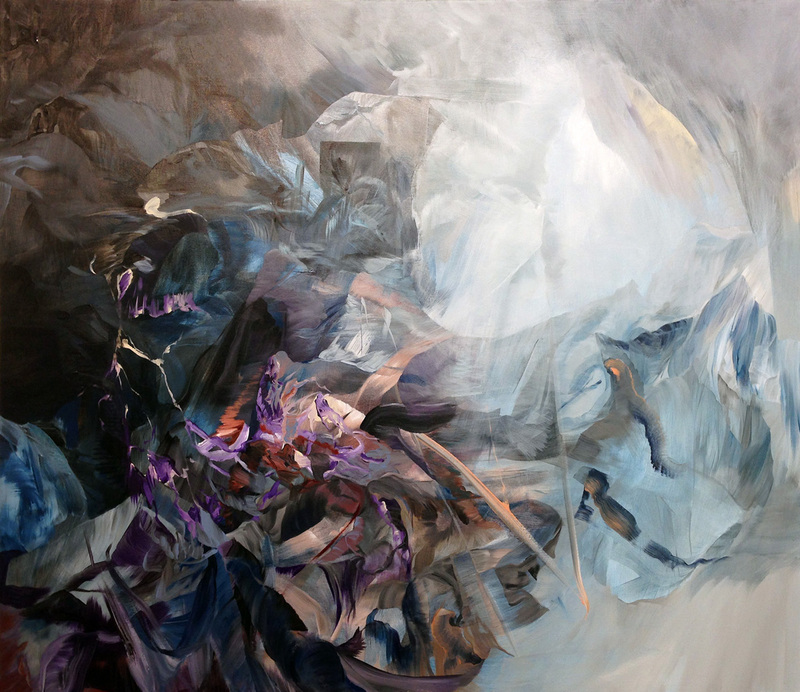 These big, ambitious paintings package it all into something new. 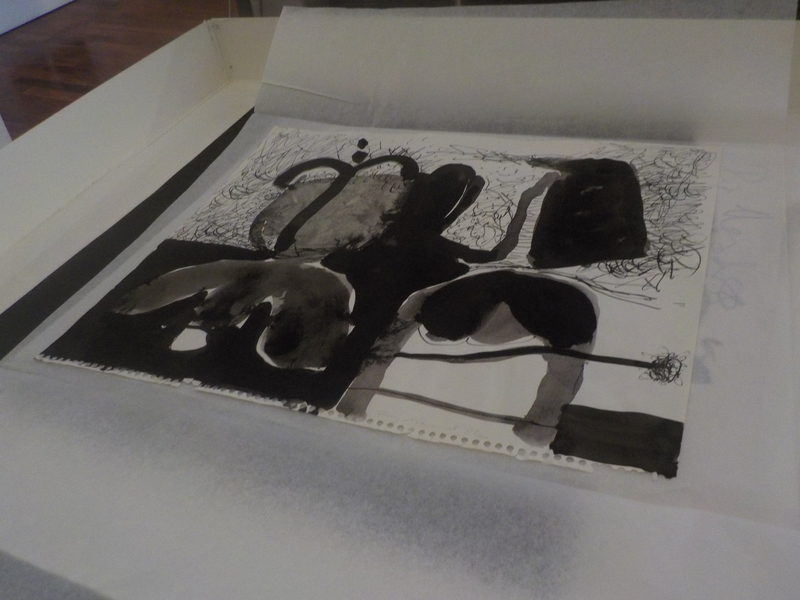 The show entitled Figments and Foils includes a number of small watercolours. These pieces have the same sumptiousness, technical and spatial virtuosity as the larger works but they also have a freshness and spontaneity that is very appealing.